Caribou was just 26, graduating with a bachelor of arts in sociology from the University of Winnipeg in October 2017. A month later on a military training exercise, the reservist died by suicide. 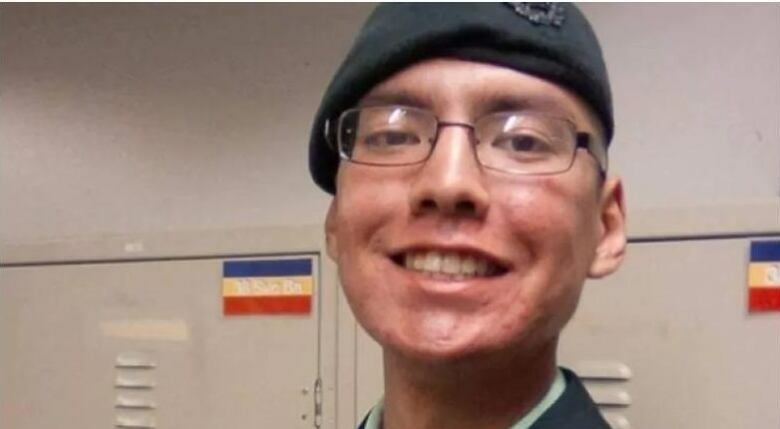 However, it wasn’t until the CBC obtained documents about the investigation into Caribou’s death that the military publicly admitted that the death was considered a suicide. Furthermore, we learned of three internal investigations, one ongoing. Secrecy is crucial for military operations. But it is also a pernicious disease that has prevented meaningful social and cultural change in the Canadian Forces for years. Politicians have repeatedly called for openness and transparency in our democratic government. However, Canadians in uniform (and their families), who risk their lives to defend that same system of government, have been repeatedly denied that same openness and transparency. Such secrecy serves to cushion those responsible from any accountability, while insulating the system from meaningful change. A year prior to his death, Caribou reported he was being bullied and harassed. Officers not only did nothing, but it’s alleged there were Fight Club-like rituals. Harassment of Caribou continued. Retired colonel and lawyer Michel Drapeau has long railed against the military’s inadequacies when it comes to properly investigating and prosecuting its own members. We have come to understand that tightly knit groups like doctors, lawyers, priests and police should not investigate themselves. When they do, the pattern is all too familiar. Organizations offer platitudes about improvement while the reprehensible behaviour continues. Military culture has been resistant to change because changing any organization’s culture can be one of the most difficult leadership challenges an organization can face. Culture is the DNA of an organization and is embedded in every aspect of what that organization does. Changing culture is like knowing nothing about how a car works and having to repair it while driving alone at 100 km/h on the expressway without stopping. Obviously, to repair the car, the driver must pull over, stop, and then call an outside expert. Yet the military is a consummate closed in-group, resisting outside advice. To join, all previous associations and attachments must be either diminished in importance or be completely renounced. To do this, the military has a little-discussed but potent tool: indoctrination. Military indoctrination is the most powerful, legally sanctioned means of manipulating a human being. The result: much that makes us an individual is replaced by all things military. Civilian friendships and birth family members are supplanted by comradery and the military family. Previous civilian achievements mean nothing. In fact, the greatest insult to a military member is to be referred to as a civilian. When members are harassed or bullied, to whom can they turn? While the military professes it takes care of its own, stories abound of harassed and bullied members coming forward for help only to be further harmed by the organization they deeply trust. This retraumatization was heartbreakingly alive and well in Nolan Caribou’s attempts to seek help from military leaders. There is a fine line between rites of passage and harassment in the military. Bullying and intimidation are considered necessary to tear soldiers down and build them up again in the military’s image. When the organization matters far more than the individual, the individual has little left of themselves to resist such abuse. Not only was such a toxic culture unable to stop the abuse of Cpl. Nolan Caribou, sadly, I fear that repeats of his tragedy will likely continue for decades to come. If you’re experiencing suicidal thoughts or having a mental health crisis, there is help. Contact the Manitoba Suicide Prevention and Support Line toll-free at 1-877-435-7170 (1-877-HELP170) or the Kids Help Phone at 1-800-668-6868. For link to the CBC article on CBC’s website, please click here.